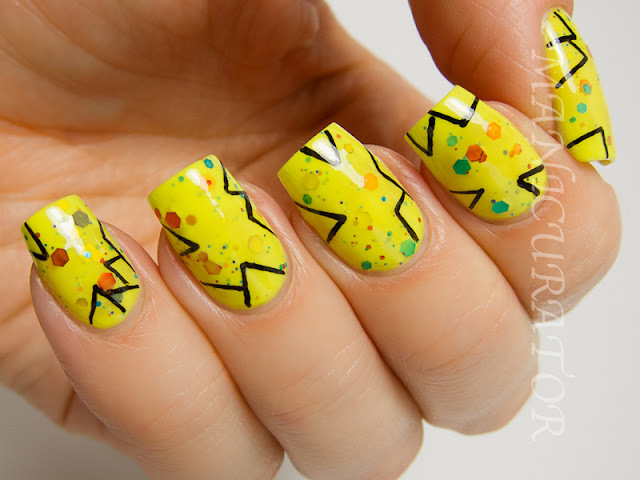 The last day in June brings me to The Nail Challenge Collaborative's June theme: NEON. I have chosen to show off the four manicures for this nail group on the last day of each month. Here are the neon creations I made. First one using KBShimmer Blinded By The Bright, previously reviewed here. I simply used a black gel pen to draw on the triangles after my top coat dried. 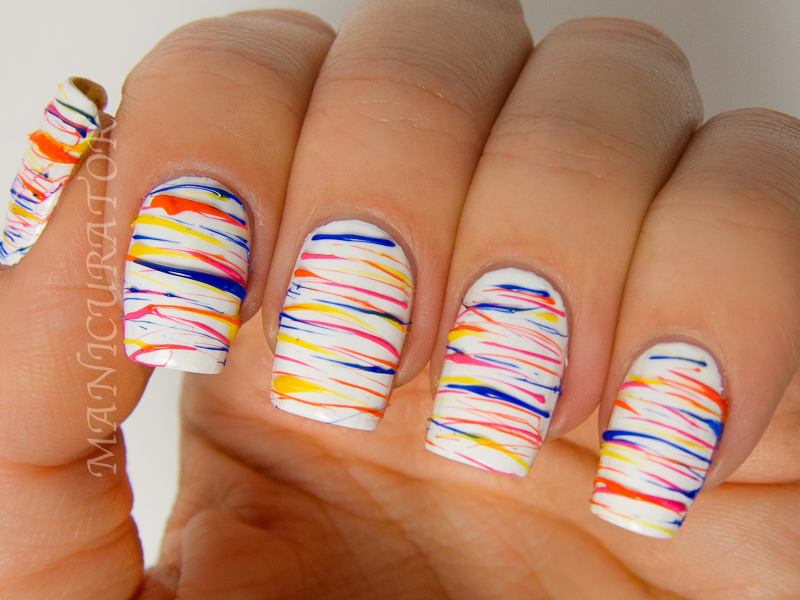 This is quite simple, and quite easy to do, yet I found them very striking. KBShimmer Don't Pink Twice with Grayscale over it. Don't pink Twice is previously reviewed here, and Grayscale from the same KBShimmer Summer Collection makes it's debut on my blog here. It's an awesome glitter top coat (this is one coat) with GRAY glitter. You had me at gray. 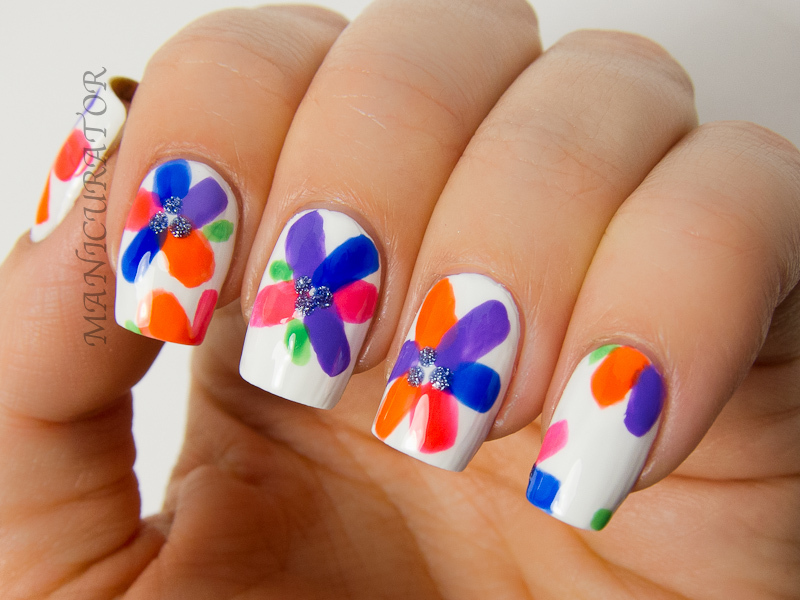 My neon flowers, using all of the mini polishes from both Nicole by OPI Notorious Neons, and Scandalous Neons sets. This first photo is without top coat. 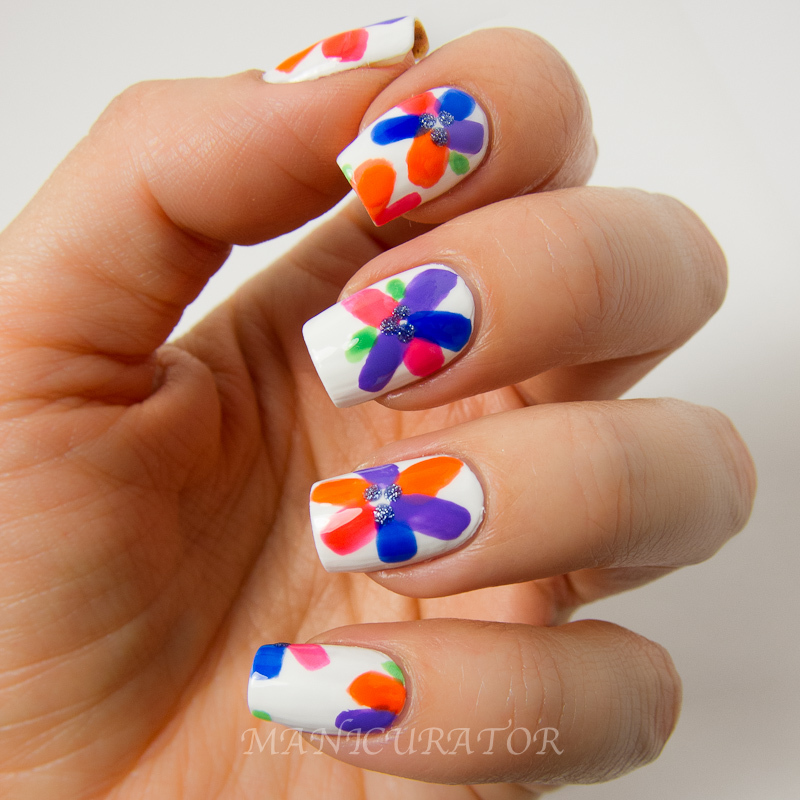 I used Nicole by OPI Blue-berry Sweet On You for the center dots on the flowers. 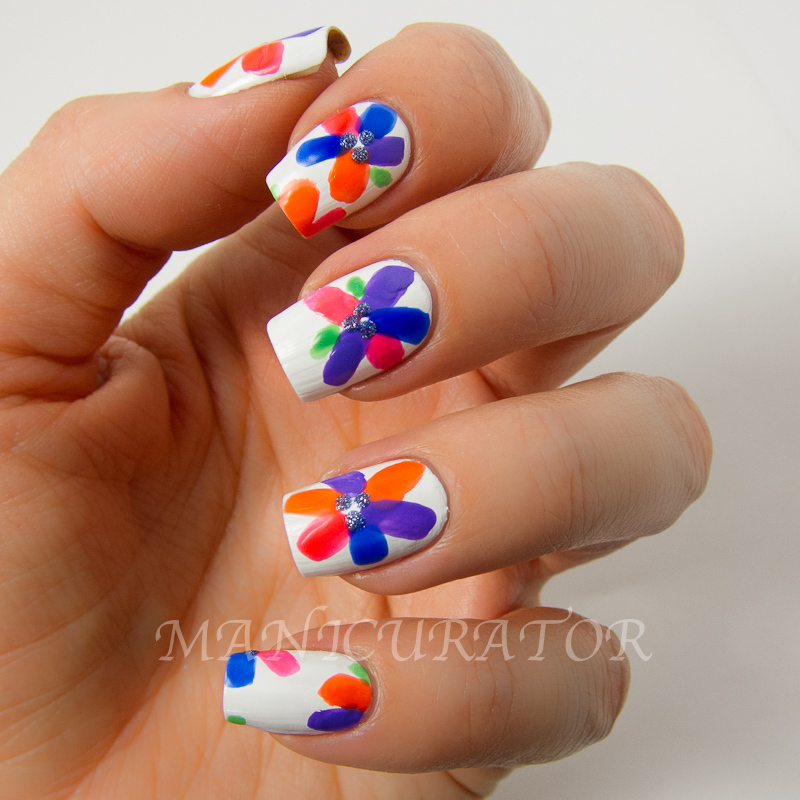 I'm not crazy about these, but it was my first try making flowers in this style, with the brush that comes in the bottle. Not so easy as it seems! 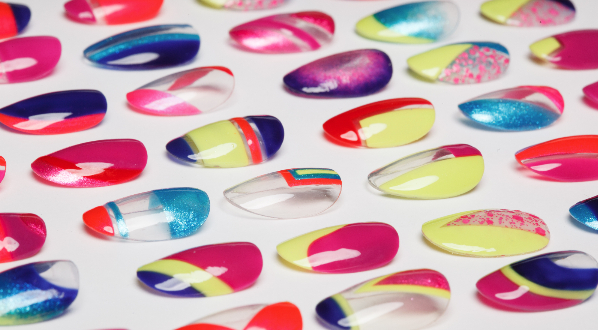 I did however, like the polishes in this set, even though a few of them (in my opinion) don't fit the term "neon". More bright than neon, I think. 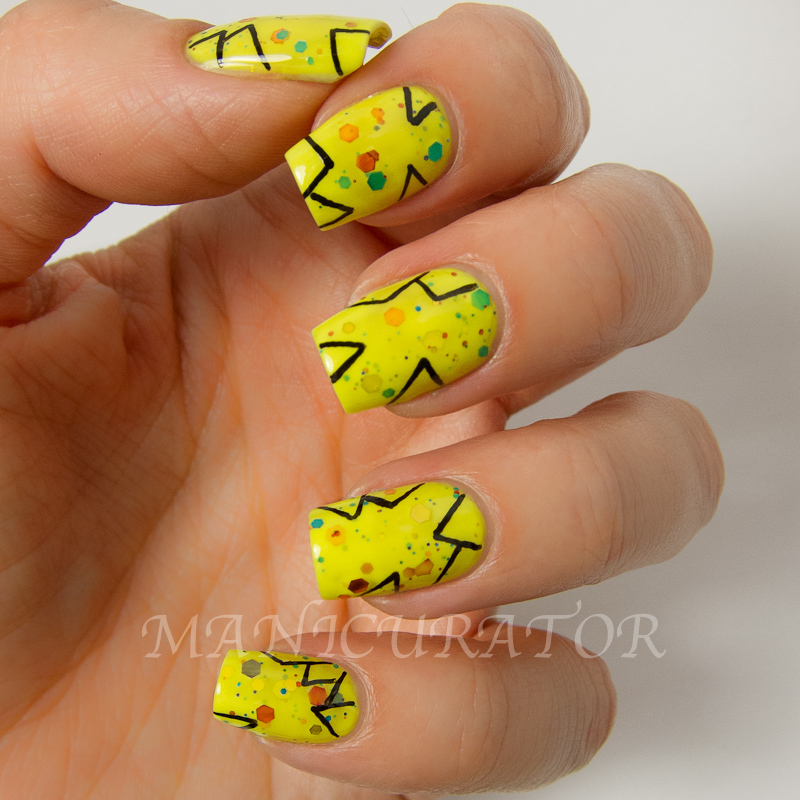 Sugar Spun neon nails with OPI Neon Revolution set. Really had fun wit these and I love the way they turned out. 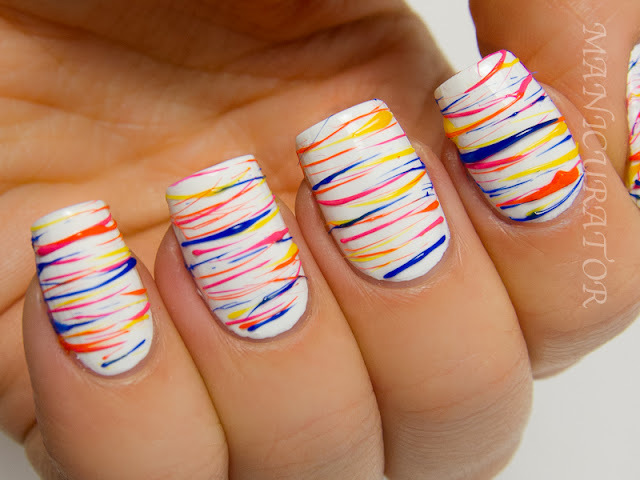 For both mini sets, the white required 2-3 coats to be opaque and still looked a bit streaky in some spots. Top coat helps smooth out the appearance. Are you a neon lover? I'm not so much, ok..well...not at all. 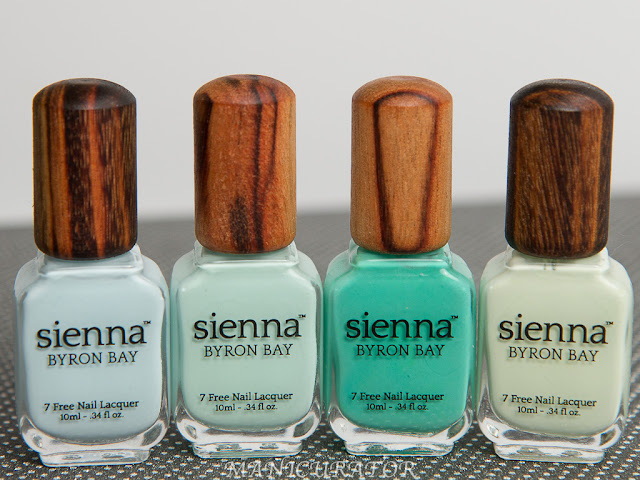 But I can't deny, they sure do pair up well with Summer :) Which is your favorite design? 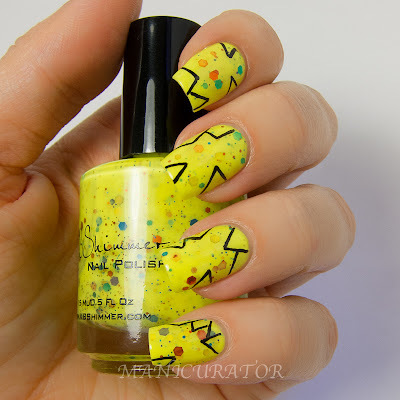 Love the simple nail art on KBShimmer Blinded by the Bright! Definitely simple yet sooooo effective! Great ideas! The first mani is my favorite. The black stands out so much against the yellow background and it's very stunning! Nice nails. 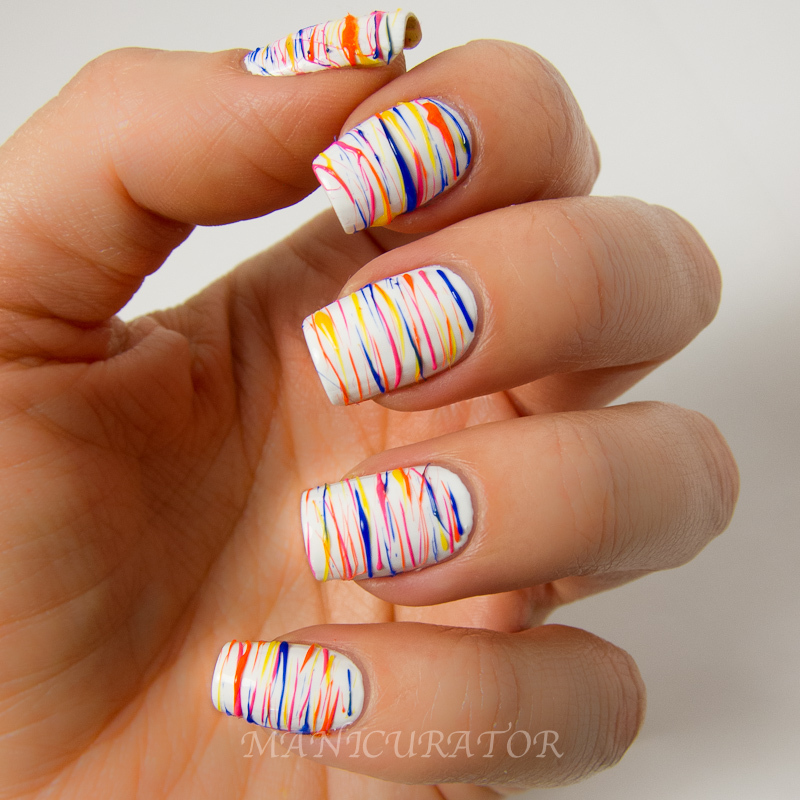 I really love your version of sugar spun nails.